Toys R Us has avoided collapse by agreeing to stump up almost £10million for its pension – but its future remains in doubt. In an eleventh-hour deal, the UK’s biggest toy shop chain has agreed to pay £9.8million into its retirement pot, and in doing so has staved off the threat of it going into administration three days before Christmas. A collapse would have put at threat 3,200 jobs and 105 stores. 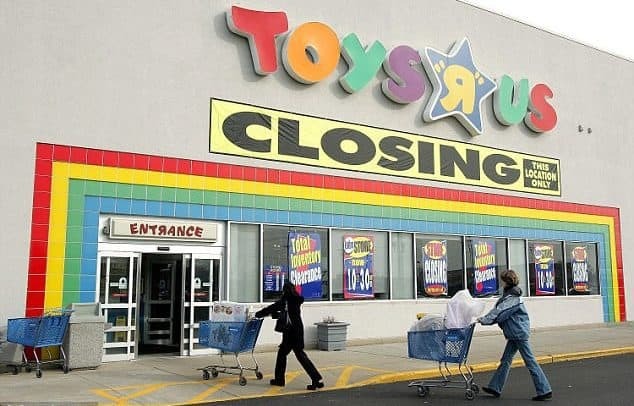 Toys R Us had been plunged into crisis after its US arm went bankrupt. That pushed the UK business, which has a pension black hole of £30million, to the brink. The American bosses of Toys R Us could pocket millions of dollars in Christmas bonuses while hundreds of UK staff fear for their jobs. The US-based toy shop giant narrowly missed falling into administration in the UK last week. The retail chain agreed a last-minute rescue plan with creditors, despite concerns over its pension deficit. That plan includes closing at least 26 stores in the UK, putting 800 jobs in jeopardy. But if Toys R Us hits certain targets over Christmas, the company will hand out up to $14 million (£10.5 million) in bonuses to 17 US bosses. The list includes chief executive Dave Brandon, who was paid a total of $23 million for 2015 and 2016. The lavish payments, which are linked to performance, have been approved by a US bankruptcy judge. Because Toys R Us filed for bankruptcy protection in September, most of its business decisions must be approved in court. Mr Field, chairman of the Work and Pensions Committee, wrote to Toys R Us last week asking why it handed major pay increases to its former UK boss Roger McLaughlan, including a £1.3 million package in 2016. 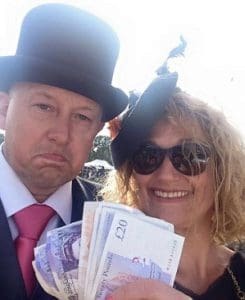 Steve Knights, the new UK managing director, is understood to be paid less than McLaughlan. Knights also has a business consultancy called Opa, which he set up with his wife Tracy before he joined Toys R Us. He claims he has not worked for it since joining Toys R Us in the summer. The company said the US profit targets will be ‘very challenging to achieve’ and said the bonus plans for the American business included ‘team members at all levels of the company, not just senior executives’.